Mike and Jill work hand in hand to manage the daily operations. Mike's focus is on the shop, while Jill manages the office. 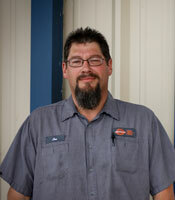 Mike is an ASE Certified Master Technician. 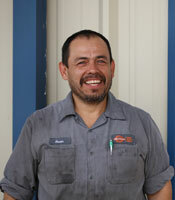 Joe has been in the automotive field since 1986. He has an Associate's Degree in Auto/Diesel repair from UTI. Joe is ASE certified in Drivability, Brakes, Air-Conditioning, Suspensions, Manual Transmissions, and Engine Repair. Oscar grew up in Mexico helping his Dad and Uncle work on cars. 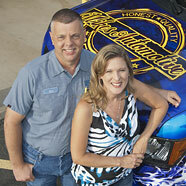 He moved to California and worked for an independent auto repair shop for twenty five years before moving to Texas. 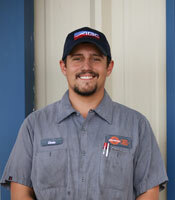 He has been with Mike's Automotive for over five years now. Chris is joining the crew as a service writer and mechanic apprentice after being in the cell tower climbing field for several years. He has just relocated his family to Bullard and looks forward to being part of the team. ASE is the National Institute for Automotive Service Excellence. ASE-certified technicians prove their technical competence to themselves, to their employers, and to their customers. Technicians must pass difficult exams and fulfill work experience requirements to become ASE-certified. Those who pass a more comprehensive battery of exams and fulfill longer work experience requirements can earn Master Technician status. ASE requires technicians to re-test periodically to keep up with current technology and to remain certified. All ASE credentials have expiration dates. There are specialty exams covering all major areas of repair. There are eight tests for auto technicians alone: Engine Repair, Engine Performance, Electrical/Electronic Systems, Brakes, Heating and Air Conditioning, Suspension and Steering, Manual Drive Train and Axles, and Automatic Transmissions. Mike's Automotive - Honest, Professional Auto Repair in Tyler since 1991.